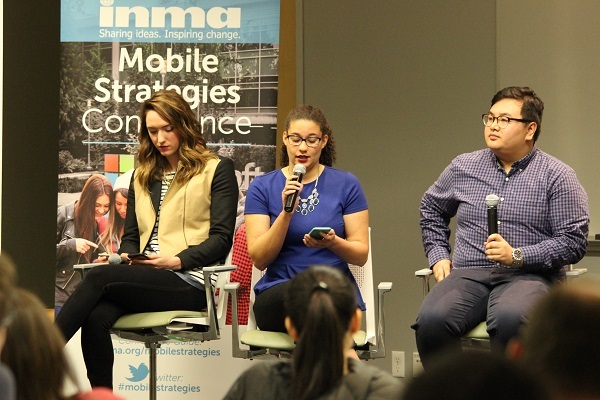 Four undergraduate Communication students were asked to participate on a much-anticipated Millennial Panel during the International News Media Association’s (INMA) Mobile Strategies Conference at the Microsoft Headquarters in Redmond. 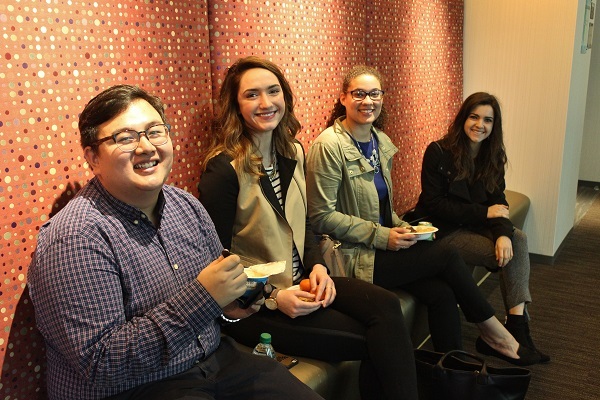 Ashley Walls, Nicole Einbinder, Thomas Nguyen, and Julia-Grace Sanders were asked questions about how they use their mobile devices and in what ways they consume news. 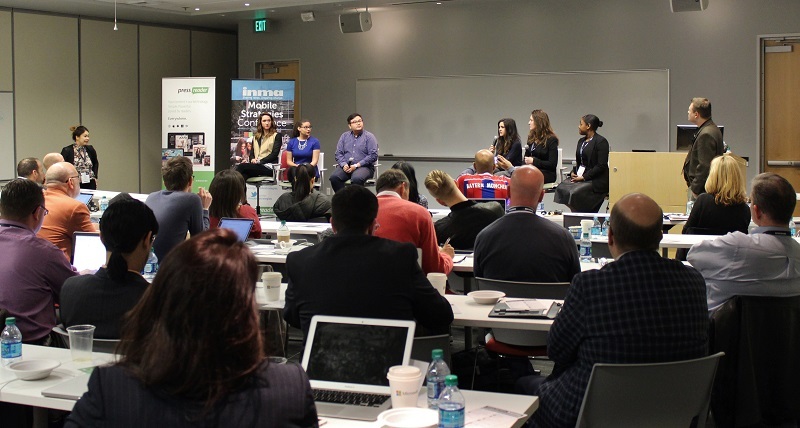 The hope was to answer the question of how to use mobile as a bridge between news brands and Millennials for curious media representatives from around the country and world. Conference-goers were somewhat shocked to hear that the students would choose to pay for Netflix over a news source, that they would delete an app before deleting photos on their phone, and that only one panel participant watches TV news. But most of all, they seemed humbled that students are still choosing to go into the media industry for similar reasons they did: to tell the untold stories and give a voice to the unheard. The conference, which took place March 10 and 11, had about 60 registered attendees and covered topics like global trends in mobile applied to news media companies, how to evaluate your relationship with social media, overcoming obstacles like ad blocking with native or programmatic advertising, and monetizing your mobile strategy. In addition to the panel, other scheduled activities included talks, group discussions, and a Microsoft briefing and tour. Speakers included User Experience Research Lead at the New York Times Rachel Derkits-Gelman, Director of Digital Media at KING 5 Mark Briggs, and Executive Mobile Editor at the Wall Street Journal David Ho. INMA is the world’s leading provider of global best practices for news media companies looking to grow revenue, audience, and brand amid profound market change. It aspires to be an essential resource in the multi-platform transformation of media companies that produce quality journalism and relevant content.